A cowboy is an animal herder who tends cattle on ranches in North America, traditionally on horseback, and often performs a multitude of other ranch-related tasks, tracing back to Spain and the earliest European settlers. Toperfect, the terminal to your hard journey of searching for cowboy pictures! Here for sale original oil painting cowboy and their horses by western art gallery Toperfect, native american cowgirl pictures and drawings. 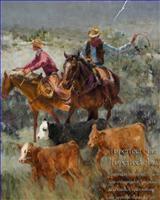 You are welcome to send us your own cowboy pictures to copy as museum quality oil painting on canvas or drawings. 6 A Desperate Stand cowboy Indians western American Charles Marion Russell. All the cowboy paintings showing under subdirectory "Toperfect Original Designs" are our original creations and copyrights protected. The original designs of cowboys art are new in market and you can't buy from anywhere else. The price is also cheap. We're keeping adding new native Americans designs every 1-2 months. Toperfect will offer you samples CD of our originals and there is no text protected on digital pictures of cowboy oil painting. We’ll also offer you formal Copyrights Authorization so that you can promote our paintings of cowboys and cowgirls in your local market, you will be approved to put our original designs on your website, brochure, etc. We're professional cowboys art gallery, the western art and cowboy paintings for sale depicts horses and riders as oil painting or drawings. Come to enjoy now! The culture of the western native American, which many consider the epitome of American-ness, is in origin a synthesis of Anglo and Hispanic cultures which was created in Texas in the days of the Texas Republic and spread with the trail herds to what is now the western native American (and Canada). Major elements of cowboy painting, like the clothing, horse, language and most importantly the cultural values and attitudes derive from Mexican as well as Southern American landscape. There were many sources for the population of the western North America but these disparate peoples assimilated the Anglo-Hispanic culture of Texas. Although this culture is perceived as American by the rest of the United States it is a cousin culture rather than a sibling culture and it is just as much a cousin culture for Mexicans as it is for Americans of the eastern and southwestern America. The ties of the Indian culture of cowboy oil painting to the culture of the southwestern United States, particularly that of the Scot-Irish of the southern Appalachians, are closer than those to the rest of the United States. Etymologists seem to agree that the word "cowboy art," has its origins in the English language. The English language was impacted by Rome and France at some time in their history, but etymologists trace the word Cow to its English/ Germanic rootstock, Middle English cou, Old English cu; Old High German kuo. The same source that I am using for this phase of the discussion claims that the word "Boy" originated in the 1200's, also English, and meant a male servant, not a male child. The word "Cowboy" exists in medieval Ireland according to a PBS article, which also mentions the tracking of the word to the American Revolution and referred to a Tory, or American colonist who supported the British Crown by stealing cattle from the colonial rebels. This is where we began with the evolution of the word into American English. As for the evolution of the word in cowboy paintings into the titles of U.S. slaves, there is every reason to believe that the word became the prevalent address for cattle industry laborers who were subjugated or deemed servants of English cattle owners. Writers mention "Slave Cowboy" in their studies of South Carolina and Appalachian cattle industries. They also mention slave cattle rustlers working under the direction of their masters. 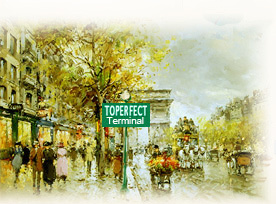 Toperfect is an experienced enterprise specializing in manufacturing various cowboy paintings, drawings, and cowgirl art. You'll be happy to find us whatever you're gallery of art cowboy or private fans. "The cowboy is really our only folk identity, in terms of mythology. Throughout the world, there's only one way you identify yourself as an American, and that's if you put on a cowboy hat. When people start to say, 'What does it mean to be an American?' you're eventually gonna confront the cowboy symbol. People attach all kinds of meaning to it too, from self-reliance to riding off into the sunset to being close to nature to looking at a cigarette ad, so some way or another, if you're an American you're going to have to get that cowboy image a little bit, to understand it." The image of cowboy oil paintings has a deep root in American culture. Some people even describe the cowboy as a "symbol of American independence and strength." With the communication between east and west, the theme of cowboy has spread all over the world. The cowboy paintings manufactured by Toperfect are highly vivid and of various postures, fully representing the wildness, gut, courage, straightforwardness and other virtues of cowboys.